What Was ‘The Easter Rising’? The Easter Rising was a prominent moment in Irelandâ? ?s history. It was when Irish rebels fought to end British rule in Ireland, while Britain was preoccupied with the First World War. The Irish had their reasons to secede from Britainâ? ?s rule. The people felt that the British government did not listen to or care about the problems of Ireland. The Irish started to experience a falling out with Britain during the Great Famine which began in 1845. Between 1846 and 1850, Irelandâ? ?s population dropped by 25%. One million died from effects of the famine, and one million emigrated elsewhere. Much of the population that was left believed the British government had done virtually nothing to help the Irish. The people of Ireland started to believe that the only people who could help the Irish were themselves. This new ideology led to Irish Nationalism which pushed for bills such as Home Rule. Home Rule was the demand for Ireland to be self-governed. Although Home Rule started in Ireland in 1870, it wasnâ? ?t passed in Britain until four years after the Easter Rising. In 1886 and 1893 two Home Rule bills were rejected by British government. The British felt that this was the beginning of losing their power over Ireland, which was not something they wanted. The third attempt of passing Home Rule was made in 1914. Britain was worrying about WWI during this time, so Home Rule began to get buried in British government with no hopes of ever being passed. 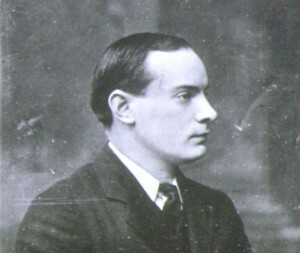 Patrick Pearse was an Irish teacher and nationalist who realized the best time to strike was while Britain was focusing on the war in Europe. His mother, Margaret, came from a family affected by the famine. Pearse organized a small group called the Irish Volunteers before the start of World War I. This group was the public face of the Irish Republican Brotherhood which had been outlawed. The IRB had been secretly organized in 1858, with one goal in mind, Irish independence. The brotherhood is believed to never have had more than 2,000 members. 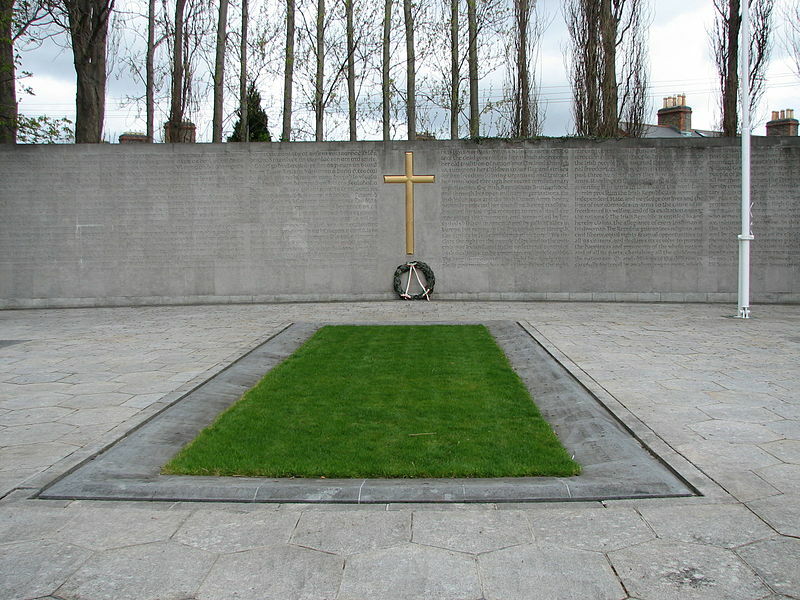 Â While the Irish Volunteers on the other hand was made up of over 250,000 volunteers. When WWI broke out the IRB starting planning for a rebellion. The funding of money from Irish Americans went into weapons and other resources . On the morning of Easter, Monday April 24thÂ 1916,Â Pearse and James Connolly started a rebellion with a small group of 1,200Â volunteers. Pearse knew that his group was underpowered and would not be able to win against the British once they sent reinforcements. The rebellions only goal was to spread a message to the people of Ireland and to encourage independence. Although the rebels had rifles, they had no artillery. The leaders of the rebellion assumed that the British army would not use artillery, because a lot of the property in Dublin was owned by British companies. The rebels planned to capture as many important buildings in Dublin as they could. The beginning of the rebellion went unhitched, and fourteen major buildings were taken. The rebelâ? ?s headquarters was setup at the General Post Office; and after hoisting two republican flags, Pearse read a Proclamation of the Republic. The British army sent a gunboat on Wednesday 26th to fight against the rebels. They attacked civilians and rebels, because the rebels wore civilian clothing. For that reason the British attacked anyone in the city not wearing a British uniform. On the same day, the British also used artillery to flatten buildings which were suspected to be used by the rebels. The assumption the rebels had made whether Britain would use artillery was a mistake. On Friday 28th the General Post Office was ready to collapse and the rebels escaped to a nearby building. A last stand was made in Kingâ? ?s street against 5,000 troops and the rebels had no chances of success. On Saturday 29th Patrick Pearse formally surrendered to the British. The following day the rebels were marched to prison across town, receiving many jeers from Irish bystanders. The British Army reported casualties of 116 dead and 368 wounded. The rebels and civilians had 318 dead and 2,217 wounded. Naturally the leaders of the rebellion were not going to be shown any mercy. They were tried by a secret military court and sentenced to death. 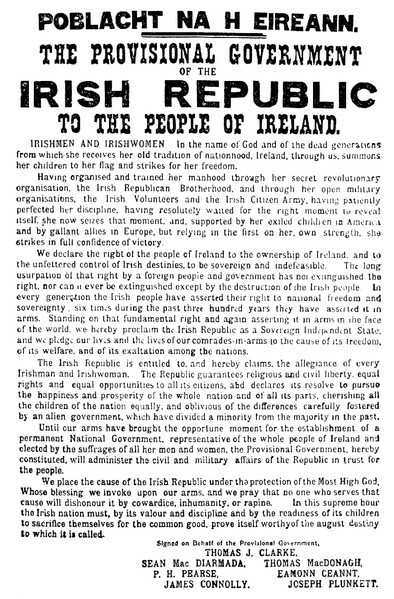 After the public announcement of their executions the Irish people started to side with the rebels. 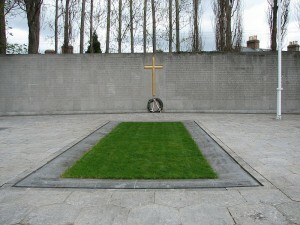 The Irish believed that the men should have been publicly tried and felt the executions were unfair. Although the rebels had effectively â? ?failedâ?, Easter Rising had been a success. The damage had been done; men had captured buildings, read a proclamation of independence, and managed to make the Irish population more mindful about their government. Â The men involved in the Easter Rising understood they would not win against the British. Their main purpose was to build a strong motif to fuel Irish nationalism. An Irish Republican movement named Sinn FÃ©in was started by General Maxwell after the Easter Rising. 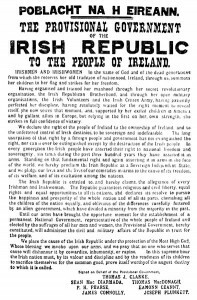 After the end of WWI, Sinn FÃ©in secured a majority of Irish seats in the general election and proclaimed the Irish Republic as an independent parliament. Britain once again ignored these requests and the Irish War of Independence (1919-1921) followed. Â The war ended in a truce in July 1921. Four years after the Easter Rising the British government finally gave in. They understood that Ireland wanted independence one way or another. First rebels had attempted independence and now the government itself demanded the same thing. The Home Rule Parliament of Northern Ireland was enacted in June 1921. It is amazing what a couple of men can do to an entire nation’s independence. The one thing I didn’t like was that the rebels did not use a distinct uniform. We have the same problems today where terrorists hide among civilians in Iraq and Afghanistan. It is a really coward thing to do. I think the problem with the Irish Rebels was that they didn’t really plan for this day as well as they could have. Britain may have used excessive force but you would expect that when they were already under stress from WWI. A simple heads up to the civilians from the rebels “Hey we are going to turn Dublin into a war-zone starting today” would have sufficed. I guess it was all party of angering other Irish people. I don’t think the rebels really cared about being heroes. If they managed to make the Irish people angry at the rebels and government, it would only open the eyes of the public. The Irish Volunteers were made up of a bunch of people that were only ready to talk about change. The IRB were people ready to take action, but only 1,200 men were ready to march off into certain death to make a public statement. Hard to believe that the roots of the conflict began with the humble potato. I think it was wrong of England in the past not helping Ireland out when they needed help. They were treated very wrongly in the past, so I can understand the bad feeling. The prime minister of England sent an official apology for some of the things that England did wrong in the past which is a good start. Most of Cornwall hates England, but I can’t work out why? They just rely on the tourist trade from England and sell pasties. They are not even a separate island? If they were given independence there would be nothing there but desolate streets and unsold pasties . . .